Protected By Copyright Laws. All Rights Reserved. Today, far too many people are living under the misconception that after they purchase a new or used automobile, they must return to the car dealer and pay exorbitant labor rates for required maintenance service to keep it covered under the manufacturers warranty. Nothing could be further from the truth. In this area, the auto repair shop that offers maximum fuel efficiency and engine performance is Takoma Auto Clinic, located in Takoma Park at 7221 Carroll Avenue, phone (301) 270-1772. Take your vehicle to the best. They have become known as �the dealer alternative� to high-priced maintenance service. They specialize in complete car care for all American and foreign cars, trucks and SUVs including Volvo, Volkswagen and BMW. They have invested in the most modern and state-of-the-art diagnostic testing machines that are equal to any found at the new car dealerships. Let the ASE-certified technicians at Takoma Auto Clinic maintain your vehicle. When you need a tune-up, oil change, wheel balance, cooling system flush, ABS and air bags, climate control and transmission work, or any other routine procedure, your warranty will not be affected one bit, and all of their work is guaranteed. You will avoid those high-priced dealer charges and keep your warranty intact when you place your vehicle in their capable hands at Takoma Auto Clinic. They are altogether familiar with all aspects of the automotive repair business. Anyone needing a brake job, air conditioning service, a new muffler installed, an alternator replaced, a tune-up or major engine overhaul could do no better than placing Takoma Auto Clinic in charge. 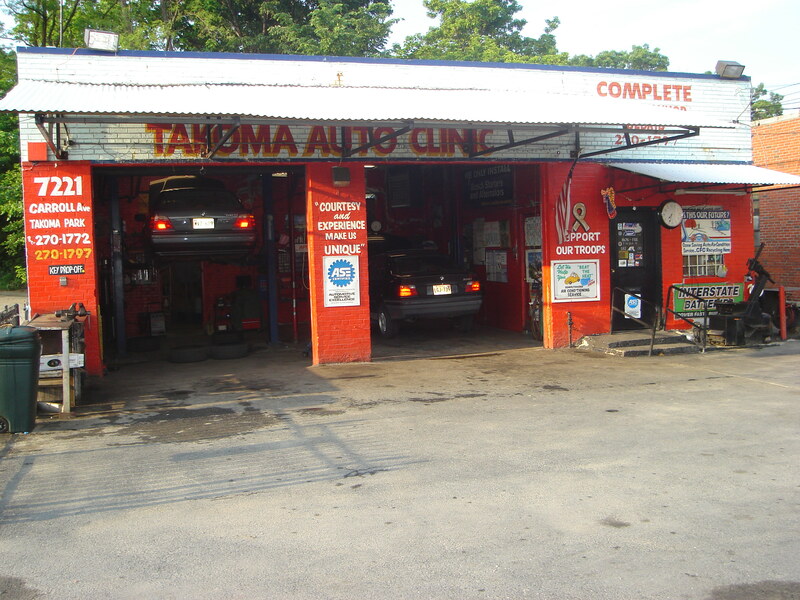 For the finest in automotive work with a reputation that can�t be beat, call Takoma Auto Clinic today. Visit their Web site at www.takomaautoclinic.com. Best wishes in the season of merriment from Takoma Auto Clinic. Link to this page � just add this code to your web page! Takoma Auto Clinic was recently featured on Community Focus Online. Read About <a href="http://www.communityfocusonline.com/CFOItemGM2.aspx?ID=6495&OID=000909293" target="_blank">Takoma Auto Clinic</a>. Please Call Our Toll-Free Number In Virginia At 1-800-669-6801.